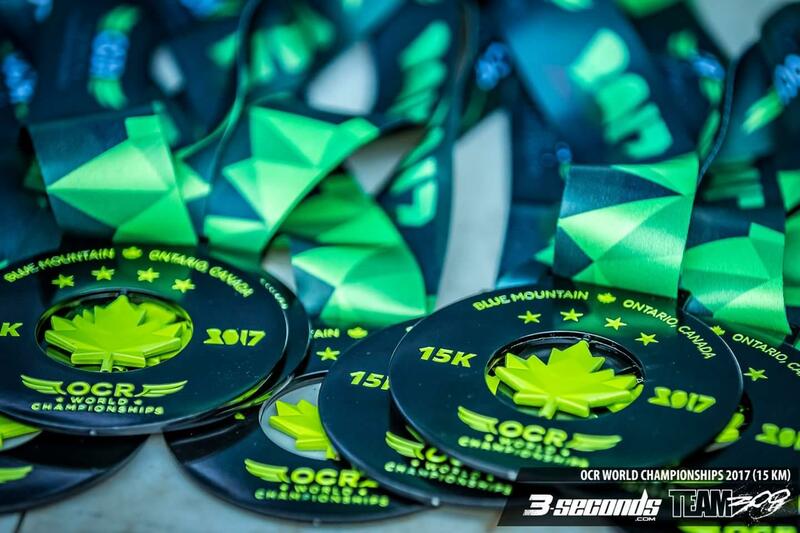 On October 13-15, 2017, the Obstacle Course Racing World Championships (OCRWC) returned to Blue Mountain Resort in Ontario, Canada for a 2nd consecutive year of competition. 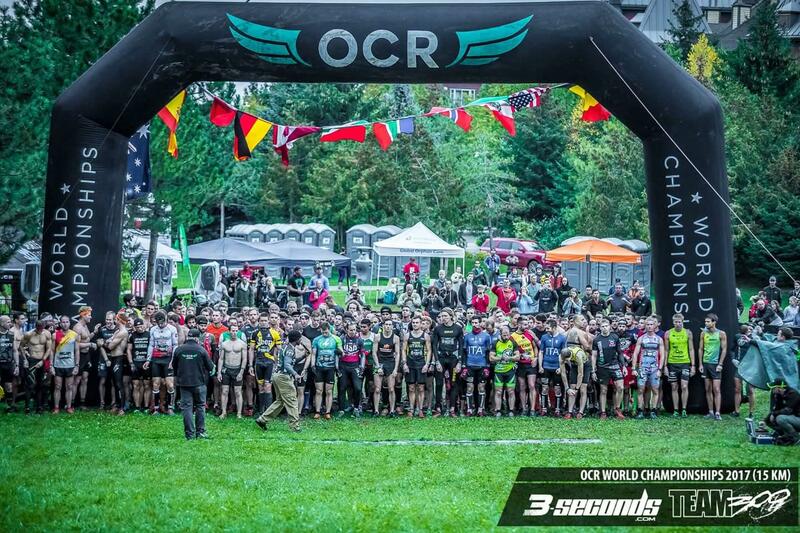 This was the 4th year for the OCRWC event, growing to attract 67 nations and over 4,000 athletes for the weekend’s events – a 3k course, a 15k course, a team event, and a charity event for the Make-A-Wish Foundation. I had the privilege of competing in the 15k course, female age group 25-29, so this review will cover the 15k course specifically. 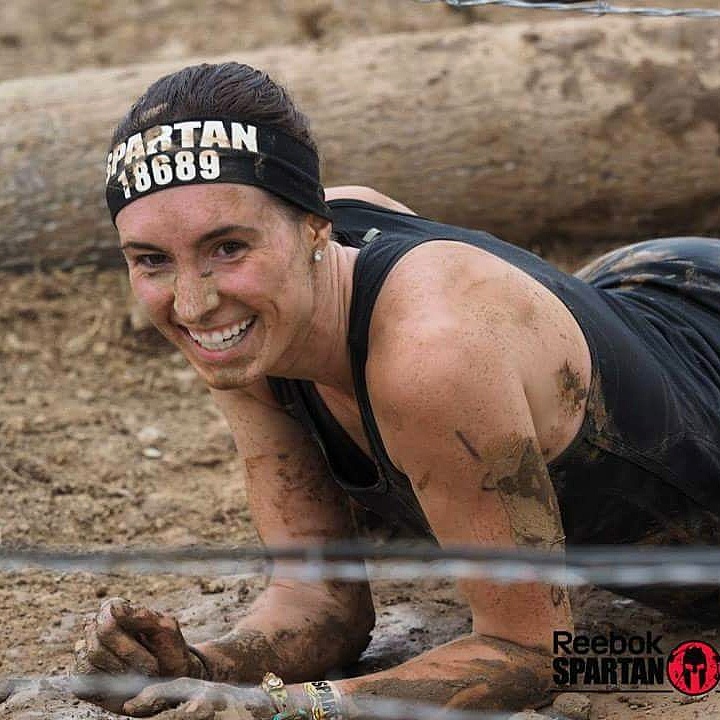 The venue provided a treacherous terrain and OCR United brands provided obstacles that called for serious grit. 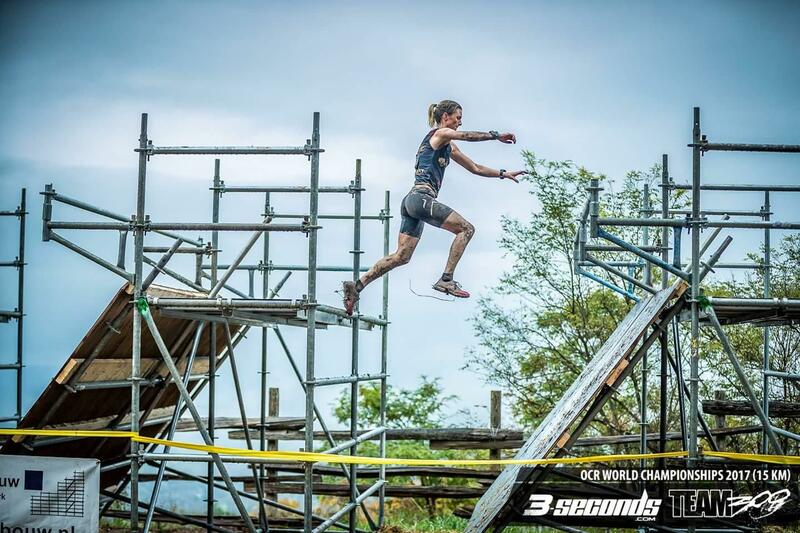 This was indeed a course made for world championship caliber athletes – steep ski slopes, covered in mud, demanded patience and agility, while complex and innovative obstacles required strength and skill. The course took competitors up and down the ski slopes of Blue Mountain, to climb somewhere near 3,500 feet in elevation change over the 15-kilometer distance. 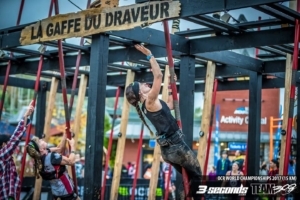 The 43 obstacles were spaced well throughout the course but were strategically grouped in a way that targeted and challenged specific muscle groups. The first half of the course was extreme climbing, wall and crawl intensive and included several ascents up the ski slopes, numerous barbwire crawls, and many variations of wall climb (over/under/through, ramp wall, slip wall, inverted wall, etc.). 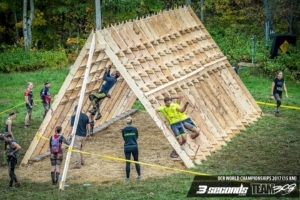 This portion of the course was followed by a segment made to test competitors’ physical and mental strength, including obstacles such as the Stairway to Heaven, a farmers/sandbag carry (originally meant to be a Yoke Carry), Dragon’s Back, a rope climb and Wreck Bag carry. 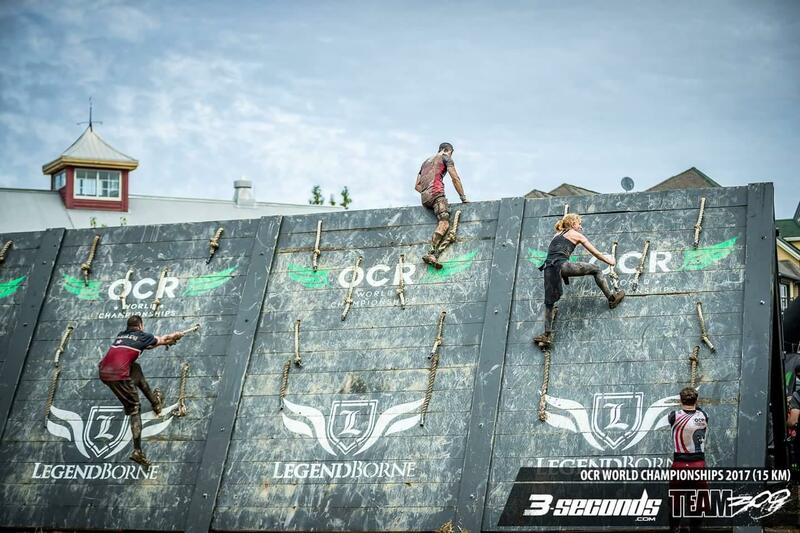 The end sequence of the course was exceptionally gripping intensive, including favorites and nemeses such as Platinum Rig(s), Skull Valley, Force5 Skyline, and the Indian Mud Run Floating Walls. 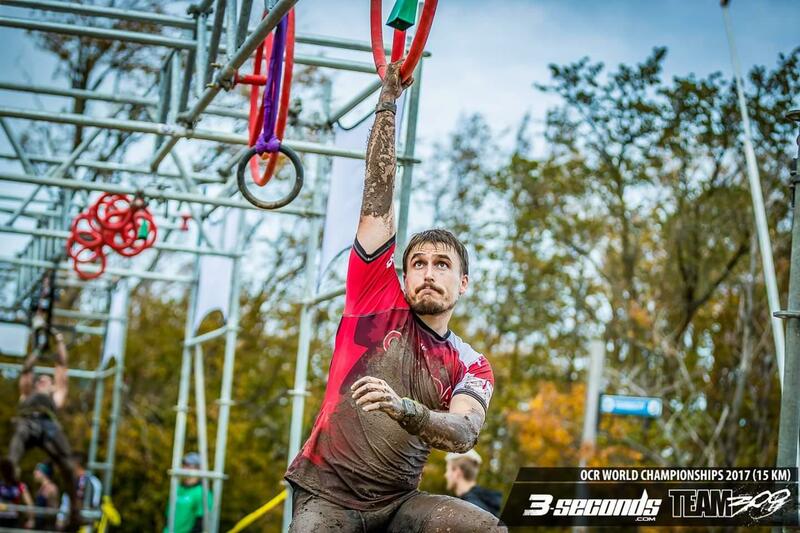 Athletes completed their race by gathering whatever strength they had left to scale “The Knot”, before making their way down the finish line. The finish line stretched down the Blue Mountain Village allowing spectators opportunity to cheer on and witness the history and success of each racer. The finish line emcees, photographer, and volunteers were sure to greet each racer with a high five, recognition of accomplishment, and a coveted finisher medal. OCRWC offered the perfect venue for innovative obstacles to come together from OCR United brands. 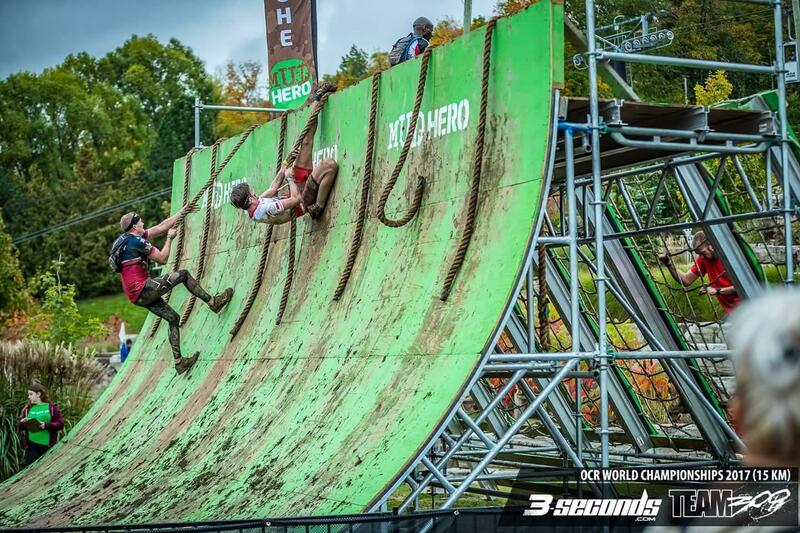 43 obstacles were included in the course – some old, new, beloved, and loathed. 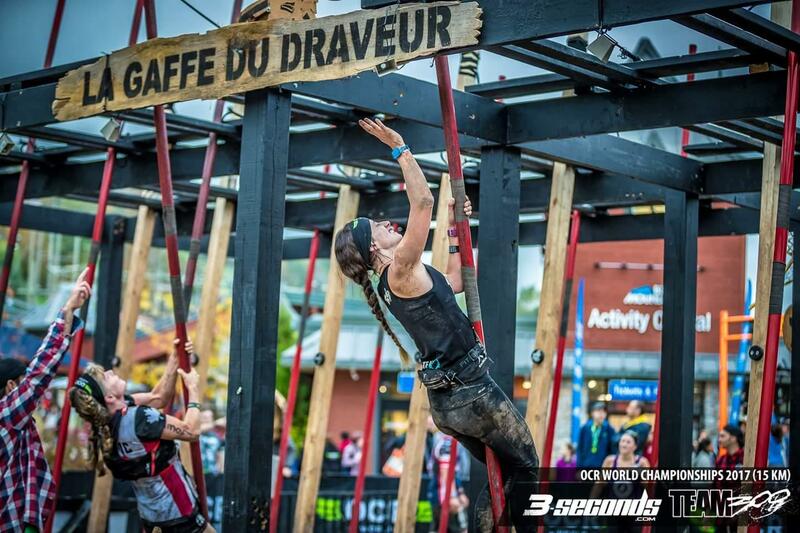 New for 2017, Northman’s Race introduced us to ‘La Graffe'; an obstacle that required grip, control, and agility to accomplish. La Graffe tested many competitors and claimed more than its share of bands (bands signify 100% obstacle completion). Old, but improved, the Indian Mud Run contributed their Floating Walls, bringing their A-game with more challenge than the 2016 obstacle offered. Three walls with rock climbing grips required athletes to scale horizontally, before climbing a cargo net, scaling four more walls, and finally descending on a cargo net/rope. The 50-pound Wreck Bag carry called on competitors’ strength and perseverance. With the 50 pound bag on ones’ shoulders, Mother Nature turned this steep climb into a slip and slide by the end of the day. Due to weather-related and logistical concerns, a few obstacles required modification, including The Green Beret Challenge Yoke Carry (which was altered into a farmers/sandbag carry), as well as Savage Races’ Pipe Dreams which was slated to make an appearance; however, it was removed from the course. Overall, these modifications were handled with grace and with an athlete-first mindset. Kudos, OCRWC. 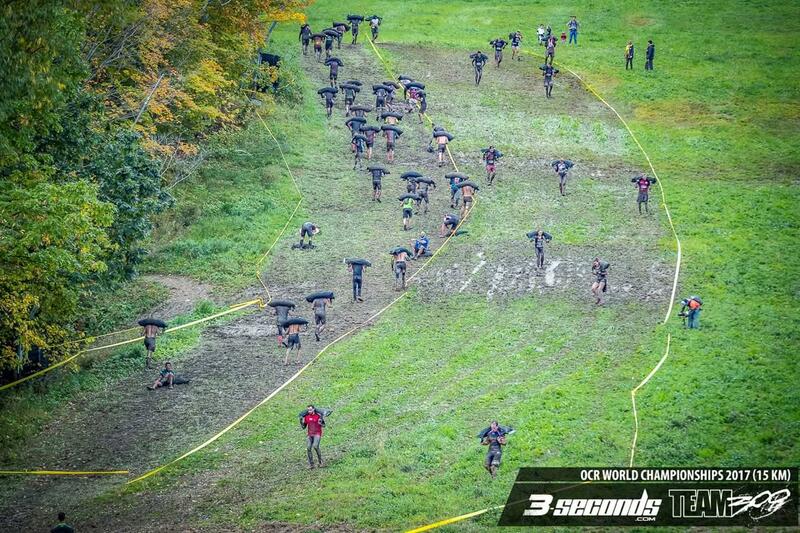 Overall, obstacles were innovative, challenging, and diverse. 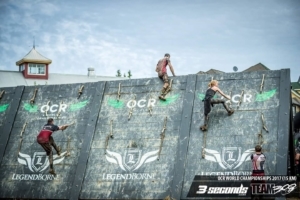 As well as well equipped with multiple lanes to avoid bottlenecks, and designated retry lanes for competitors taking second, third, and 10th attempts at obstacle completion. More kudos to the show of athlete determination! 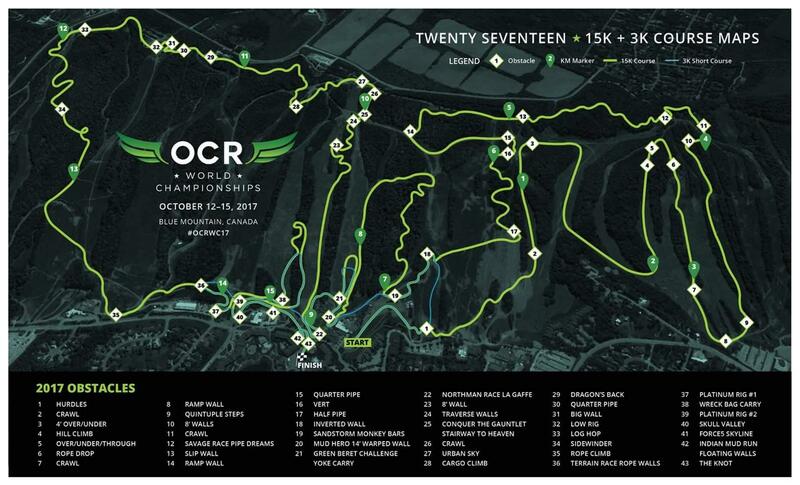 Overall, I would rate the OCRWC at a 5/5 and highly applaud and recommend this race. For many, OCRWC was the grand finale of their race season, myself included. The event left attendees feeling inspired, motivated, and hungry for betterment in 2018. 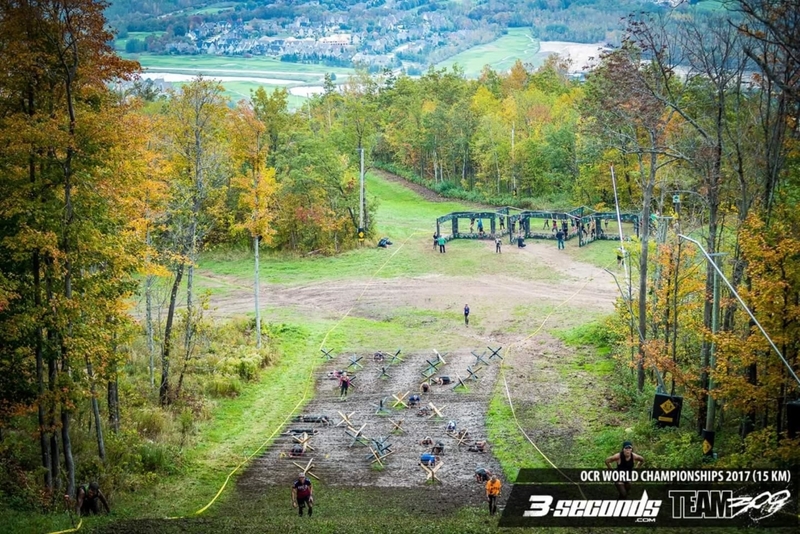 OCRWC offers an atmosphere like no other. 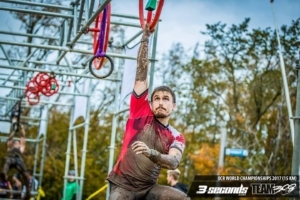 With 67 nations represented and thousands of world-class athletes coming together to test their strength, endurance, and status, words can hardly do this event justice. 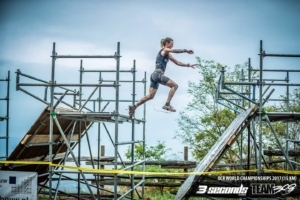 OCRWC is brutal, inspirational and one for any athlete’s race bucket list. *all photos are courtesy of 3-seconds photography/Joc Cadieux Photography.